Something I had to get done before I leave Korea was get a custom-made hanbok. A hanbok is a traditional Korean dress that women used to wear. Now, women only wear it on special occasions like weddings and holidays. The last hanbok I had was when I was much younger. It was fun getting measured to get my own hanbok! 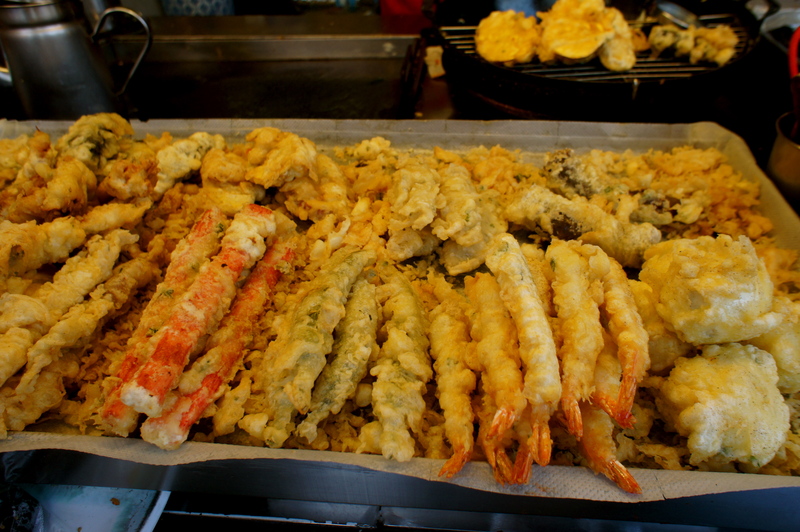 It is cheapest if you go to the markets like dongdaemun. If you go to a normal store it can cost about 800,000KRW. However, I was able to get a good deal on mine for about 230,000KRW. It’s best to go with a Korean speaker to help you bargain and get a good deal. 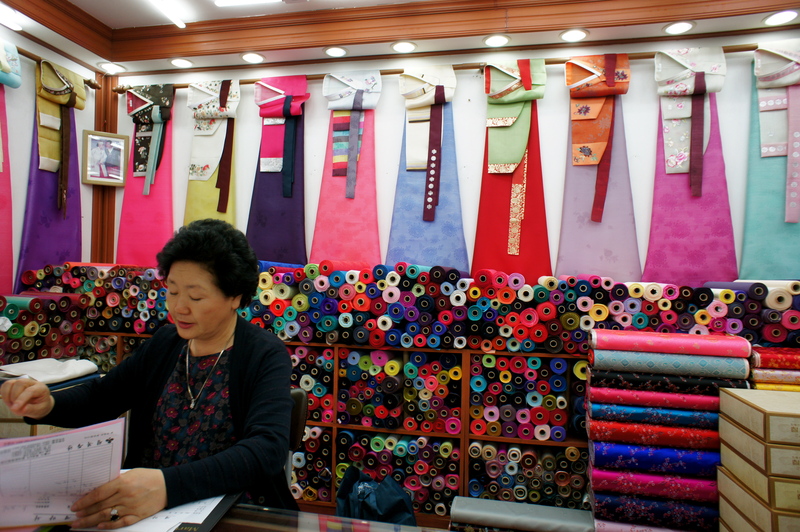 Once you get to dongdaemun, there is a building where there’s all these stands for hanboks. We kind of randomly found a stand. We looked at some photos first. I showed them a photo of a hanbok style I wanted. They actually had the same photo in one of their books. My hanbok is going to look like the picture below! 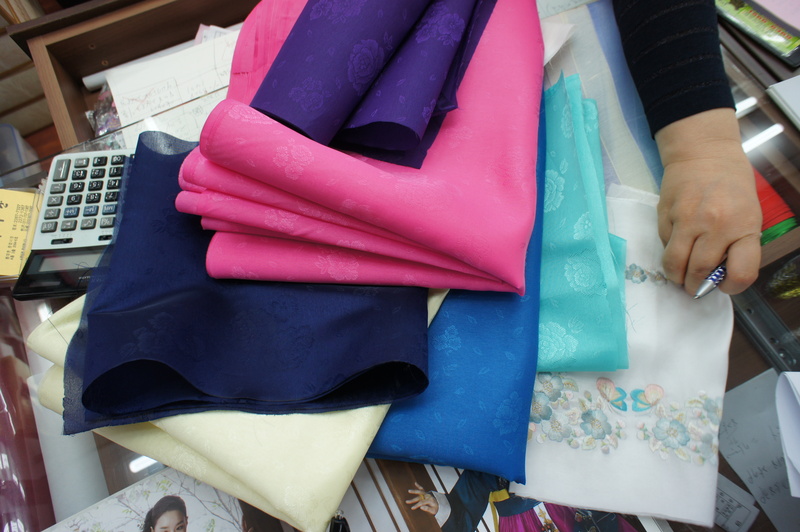 Here are the fabrics that are going to be used. I also ordered a hanbok for my mom which is going to have a yellow top and blue bottom. Afterwards, my cousin and I were hungry. 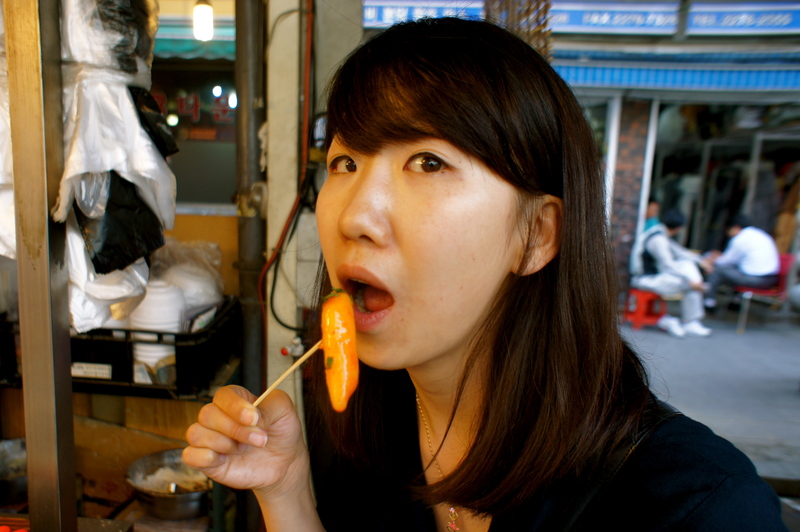 My cousin told me that they sell good ddukbokki behind the stores on the street. 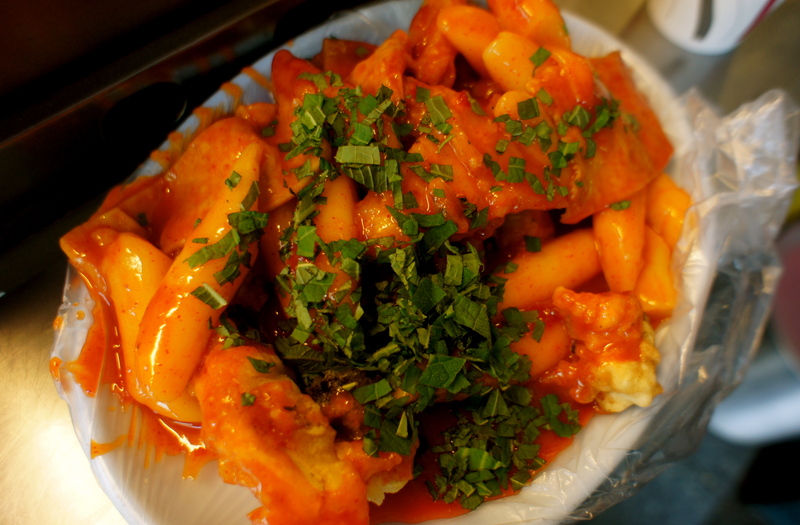 So we got some yummy ddukbokki with fried tempura mixed in the spicy sauce! It was definitely worth our 5,000KRW. Hi Jee. Thanks for telling about the hanbok. The one you chose looks beautiful! Sounds like a nice trip shopping. that’s so cool!!! i want to get a custom made hanbok! So pretty! I love hanboks. And that food looks so good right now. Thank you for your information! I’m looking to purchase a custom hanbok for my mother and trying to decide whether to buy it here or in the states. What material is yours made of? 230,000 원 seems like a great price! Is it made of silk or polyester? Thank you so much for any information you share! I think it might have been polyester. I’m pretty sure that if you get it in silk it would be more expensive. I would definitely recommend buying it in Korea than the States. I think the States would probably be much more expensive! 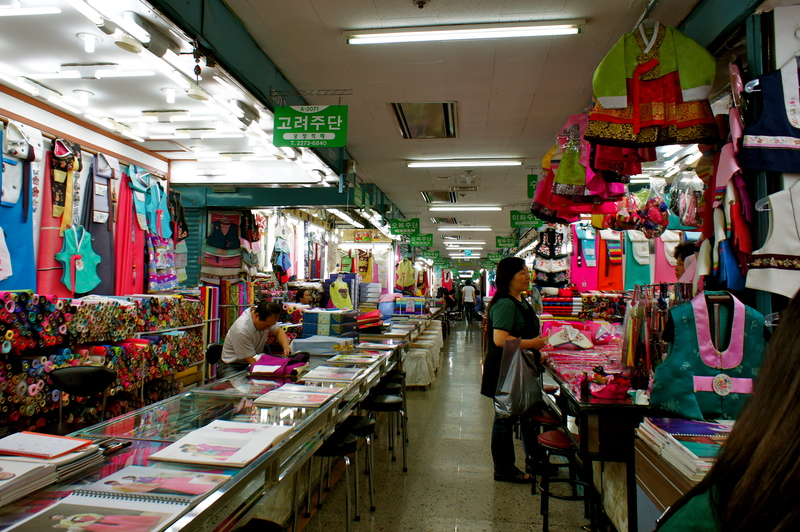 Also, it’ll be much cheaper in the dongdaemun market than going to actual Hanbok stores. I hope you can find a good & beautiful hanbok for your mom! Thanks for reading my blog!